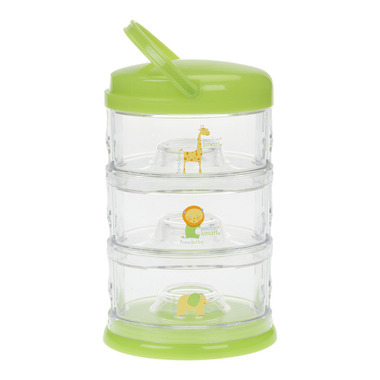 All-in-One Storage Solution for Moms On-the-Go! A must have diaper bag essential to store, dispense and organize formula, snacks, pacifiers and more in one convenient unit. Put an end to a diaper bag mess or an endless search for the items you need with our stacking & interlocking Packin' SMART.